Elegant, minimalist modern churches... Checked. Mind-boggling and colourful Hindu mandirams... Checked. Resplendent and grand mosques... Unchecked. Religious monuments both at home and overseas are staples in my photography logbook but while I've had the good fortune to snap many stunning churches and temples, this is the first time I ventured into a mosque on my own to take photos. I think it is something of a personal victory to overcome my apprehension of stepping in. Being Chinese and Christian, I am familiar with taboos in churches and temples while the perpetually busy Hindu mandirams feel welcoming even though I know little about Hinduism. Mosques, on the other hand, always felt stern and intimidating to me. Perhaps because there are no statues in a mosque, a certain human touch is missing? And there seem to be quite a few rules governing a mosque visit such as proper attire and the ritual washing of feet, head and face before entering. I wonder what would happen if I entered a mosque without washing my feet? 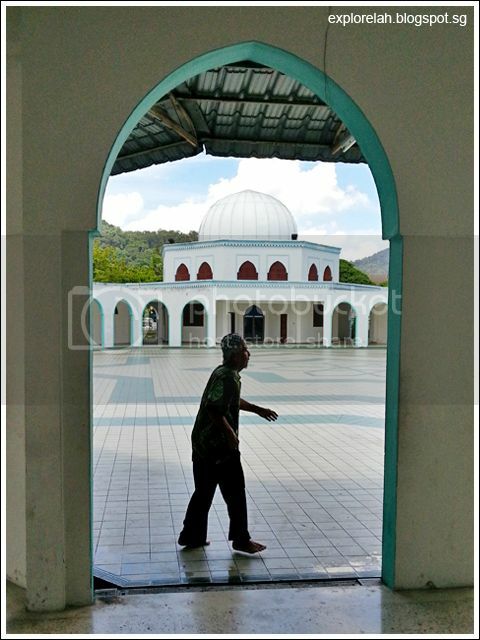 Not wanting to offend Moslem traditions, I observed what the devotees did and followed the cleansing sequence before going into Masjid Sultan Ismail to take some photos. I got quite a few stares being the only Chinese guy there snapping away with my Samsung S3. I hope the stares were that of amusement at my presence and not because I unwittingly disrespected the holy place! 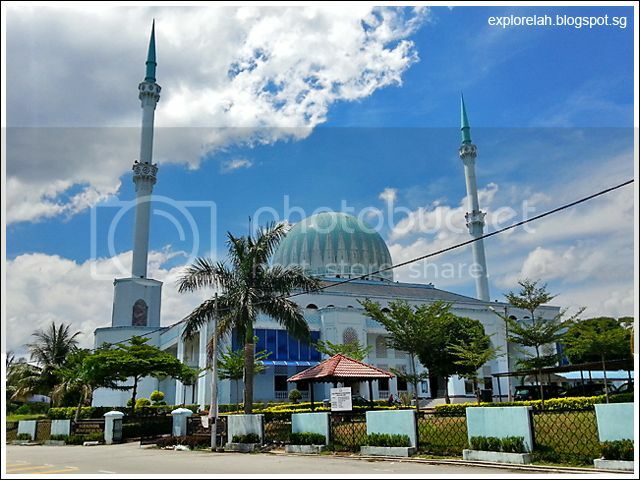 Located along one of Batu Pahat's arterial roads, Jalan Bakau Condong, Masjid Sultan Ismail ('masjid' means 'mosque of') cuts an impressive outline in the horizon as I passed it by in a car. I heard it calling out to me. 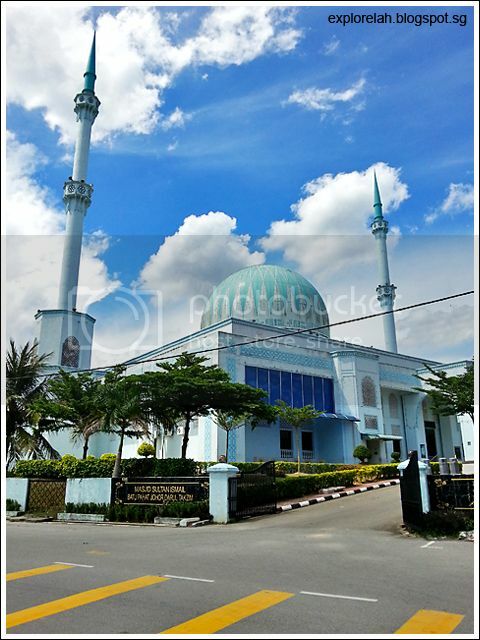 So when I got the opportunity, I walked the 15 minutes it took from The Summit (a prominent mall also along Jalan Bakau Condong) to the mosque. Never mind that the sun was roasting my skin that day. 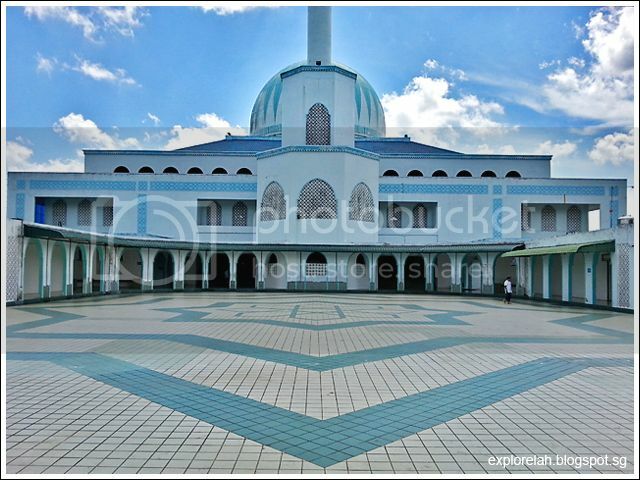 Opened in 1996, the mosque is one of two major mosques in the township of Batu Pahat. 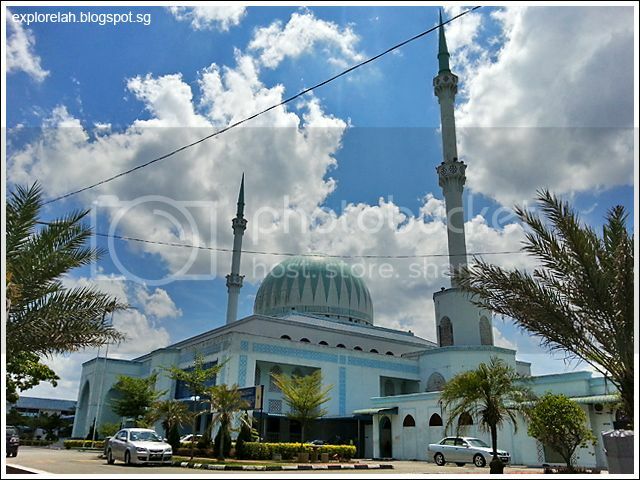 The town's chief mosque is the larger Masjid Jamek Sultan Ismail. In Islam, blue is the colour of protection. 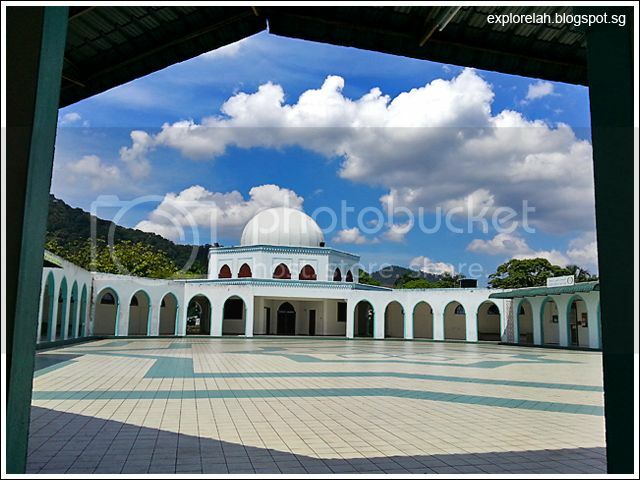 I didn't dare enter the main prayer hall but explored an annexe sanctuary at the side. This patterned doorway is one of the entrances of the annexure. A sigh of peace and calm echoed within the arched Eastern piazza. 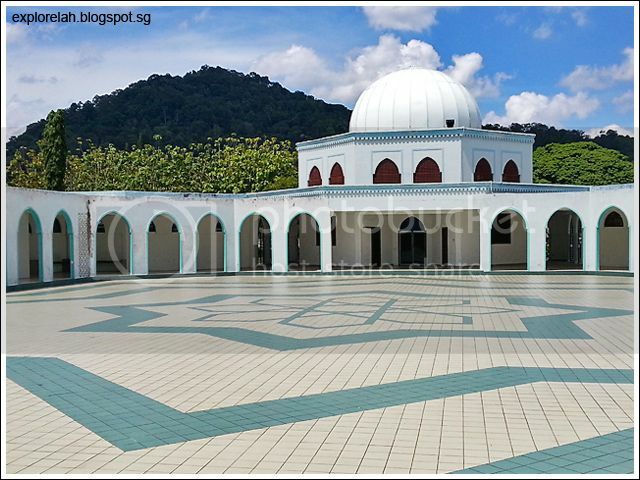 No footwear, singlets and shorts are allowed in mosques and females and males pray separately. 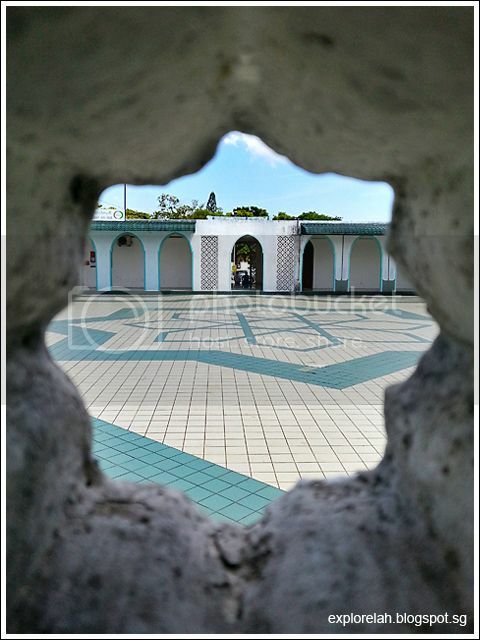 Looked through quite a number of arches to frame the minaret while capturing the pattern on the floor as well but couldn't find one that could get the whole tower in the photo. This is the best I could do. 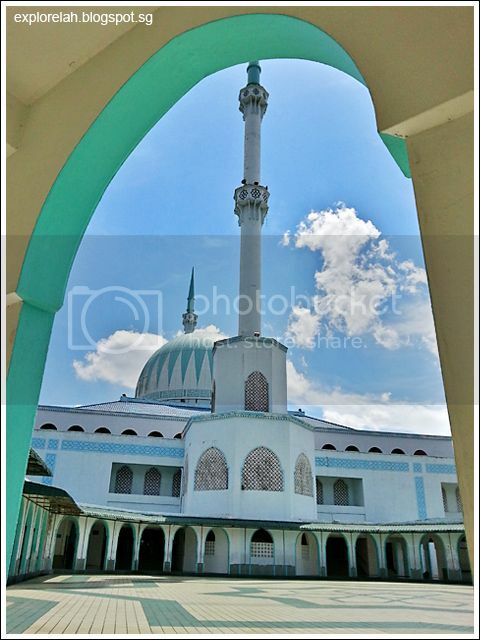 Finally managed to get the whole minaret in the shot. 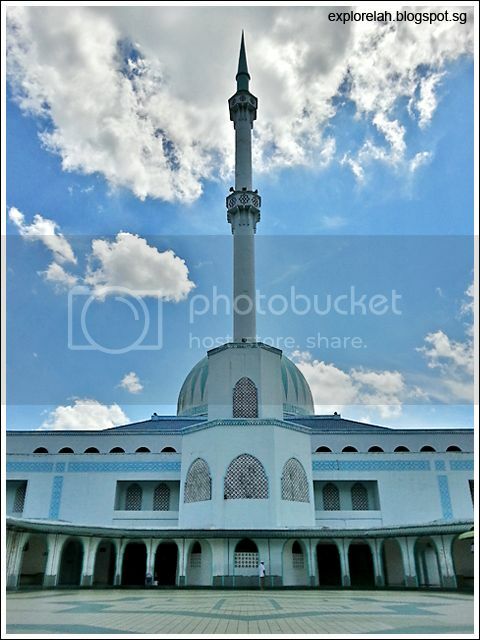 Minarets are the needle-like towers that are as quintessential to mosque architecture as the onion-shaped dome. Thank God for the sunny weather and lovely cloud formation that day. A mountain of foliage provided a scenic backdrop to complement the clean and distinct architectural lines. 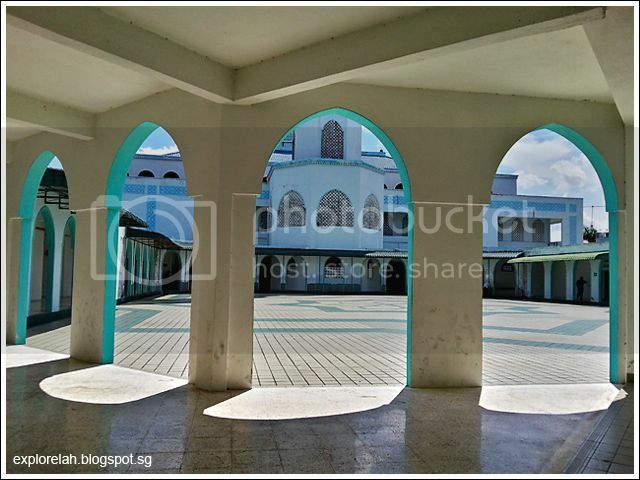 Now I can tick off mosque photography in my checklist! I explored the mosque gingerly, ever watchful of the signages that indicated restrictions and no-nos. 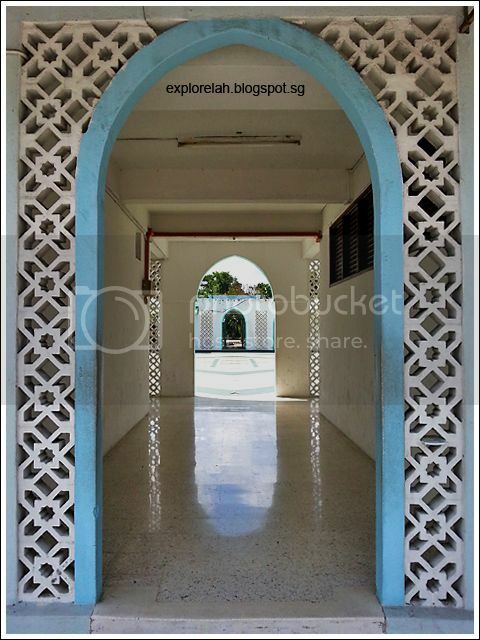 A sign said photography is not allowed in the main prayer hall, another said no shoes, yet others spelt out etiquettes (or holy scriptures?) I can't understand in Arabic or Malay. 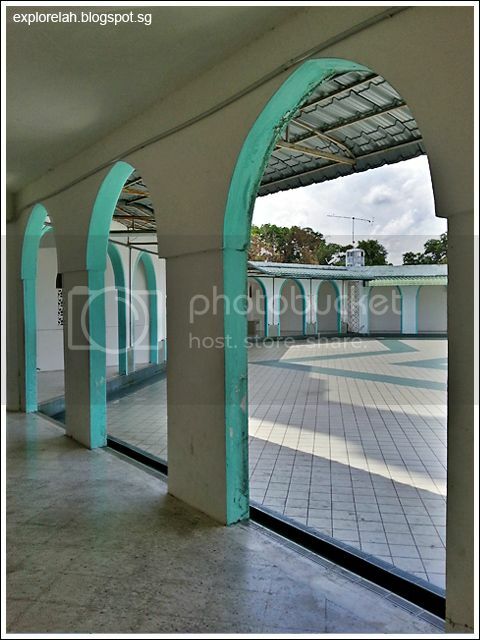 Before Masjid Sultan Ismail, I never dared go into one if I'm not accompanied by a local. 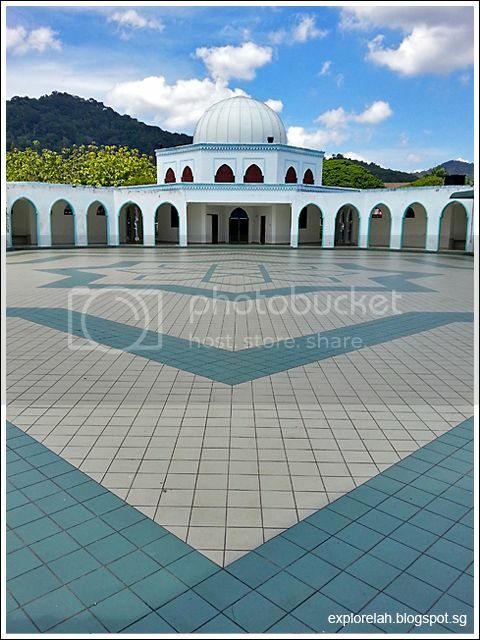 But now, I think mosques are just as welcoming a place for photography and have grown the courage to check out more of the Islamic beacons of faith in future!